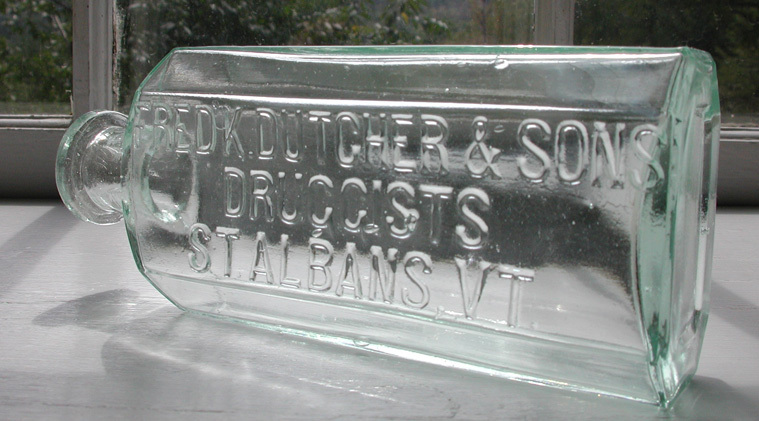 Description: This is a sparkling example of the northern Vermont Dutcher Druggist Medicine. 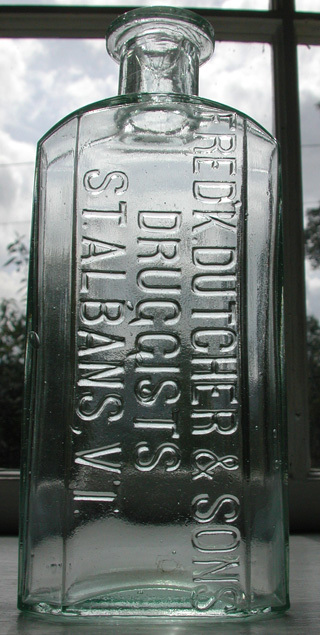 This is the same Dutcher Druggist of the well known and highly sought “Dutcher Dead Shot for Bed Bugs.” Dead Shot medicines are found in pontiled and early hinge mold. This is a good size druggist with attractive flared lip.